Reiki pronounced “ray-key” means universal life force energy. In the practice of Reiki this life force energy is utilized for healing via a hands-on or long-distance process. In Reiki students learn to do self-treatments and how to give treatments to others. Reiki is utilized in many hospitals and health-care centers. Reiki was discovered in the early 1920’s a Japanese man by the name of Mikaomi Usui. His quest to discover how people could perform hands-on healing led him to a retreat in Japan in which he meditated, fasted and prayed for 21 days. It was on the 21st day that Dr. Usui experienced an awakening and channeled information about Reiki. Dr. Usui doesn’t claim to have created Reiki, but rather claims to have tapped into something that was already there. In the next five years of his life Dr. Usui taught Reiki to over 2,000 people. Reiki is transmitted through a very light touch and is deeply relaxing. Many of my clients report that Reiki is more relaxing and centering than massage and almost dreamlike. I view Reiki almost as a meditation through the medium of touch. A Reiki treatment is usually 1 hr. and done while you relax fully clothed on a massage table. If there is a specific issue or area of concern you may want to share that with your practitioner beforehand. Some Reiki Masters work with advanced ‘energetic clearing processes’ that can be helpful when wanting to work through issues or blocks. Reiki can also be combined with acupressure, massage or cranialsacral therapy. Reiki is deeply restorative, empowering and balancing. It reduces stress and facilitates healing and personal growth. It has a healing effect – physically, mentally, emotionally and spiritually. It is centering and increases intuition. No, Reiki is not a substitute for medical help. You should always seek medical advice first from a Doctor. Reiki can be used in conjunction with western/allopathic medicine. Can Reiki help to facilitate emotional healing? Nearly all of us have emotional healing that could take place that would better enrich our lives and make us feel more in touch and connected. Reiki helps us heal and release hidden issues. We may become emotional during or after a Reiki Treatment or Attunement. Sometimes generalized emotions will rise to the surface without an attachment to a specific memory. It is my personal belief that we don’t need to dig into, seek out or continue to play movies of our past traumas or pains. We can always find more pain and I believe we activate and enliven the pain by analyzing it too much. Science has shown that the brain doesn’t know the difference between something that is happening now and something that is being re-lived. So if we watch re-runs of difficult events in our lives we are doing a disservice to our minds and bodies. But if emotions naturally come to the surface then that is great and we can do some actual emotional healing. People from all walks of life learn Reiki. Some take Reiki just because they are drawn to it. Others take it because of their interest in energy work. Others take Reiki for their own personal growth and/or to work on family and friends. Also, many healing professionals take Reiki so that they can incorporate it into their work. It can be helpful to have experienced a Reiki session beforehand, but there are no prerequisites. Reiki is a profound system of healing and yet it is so simple – that is the beauty of Reiki. In Reiki, practitioners just place their hands on themselves or others and this universal life force energy begins to flow. We all have a natural instinct for healing. Reiki is taught in 3-4 levels. There is Reiki I, Reiki II, Masters and Teachers. Some teachers combine the Masters and Teachers. You can take one level at a time or multiple levels. Each level of Reiki increases and refines the Reiki energy with additional attunements and Reiki symbols. 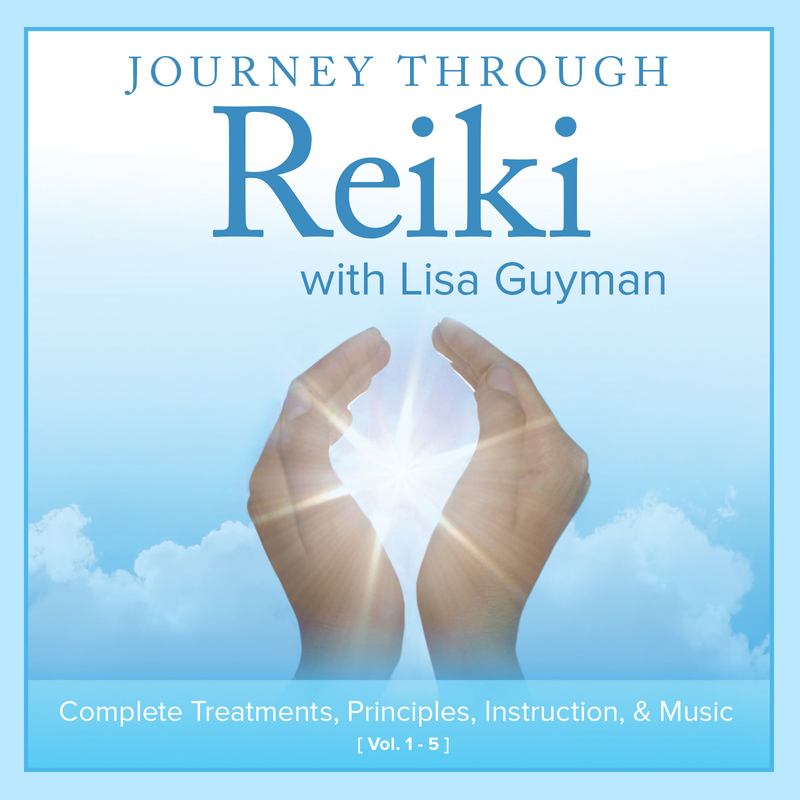 In First Degree Reiki students learn about the history of Reiki, what Reiki is and isn’t. Students also learn the hand positions for self-treatment and for the treatment of others and receive their first Reiki symbol. First Degree Reiki lays the foundation for all Reiki. 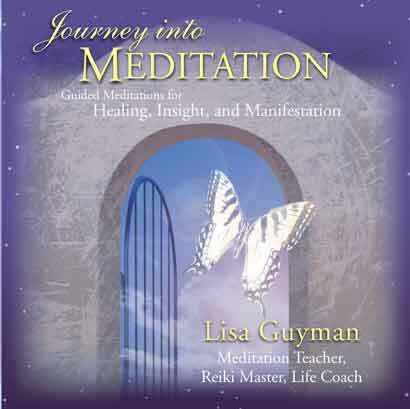 In Reiki II students learn the symbols for emotional, mental and long distance healing. They also gain more experience in self-treatment, practice long-distance healing and learn how to tap into intuitive awareness during Reiki and in life. The Masters level activates the highest level of Reiki possible. Student’s receive the Reiki Master Symbol and learn advanced Reiki techniques to help clients release blocks. In the Teacher training students learn to pass Reiki attunement and how to teach the Reiki classes. What is the difference between the Reiki schools? And how do I select a teacher? Reiki has branched off into many directions, but Reiki is Reiki. The branches are of the same tree. I think the importance is finding a Reiki Teacher that one feels a connection to. The foundations of Reiki i.e. the symbols, the attunements, hands-on healing, distance healing are taught by every Master of Reiki. Course content may vary slightly. What if I have doubts about my Reiki abilities? Reiki works even if you have doubts about your abilities and you feel like nothing or not much is happening. (When I first started practicing Reiki I had doubts about whether much of anything was happening, but my Reiki clients kept coming back because they loved it). What is the 21-Day cleanse? The attunements in Reiki affect your whole being because they increase the amount of chi flowing into your physical and energetic body. As a result of this influx of healing energy, a 21 day energetic cleanse is set into motion. The cleanse works by balancing and clearing the seven chakras through which Reiki flows. Much like a river after a storm, everything flows faster and things get stirred up. This release can result in a healing crisis or flu like symptoms for some and for others . . . an influx of positive feelings. Reiki comes through the crown chakra, fills the practitioner and is transmitted through the hands. Research in the book Vibrational Medicine has shown that during the process of hands-on healing, a brain wave synchronization effect often occurs between the practitioner and the recipient. It appears that the practitioner and the recipient become aligned with the magnetic field of the earth and that light is emitted through the palms. Can Reiki be used in everyday life or is it just used in treatments? Reiki is energy, so Reiki can positively affect anyone and anything. We are a wellspring of energy, so we affect everyone and everything around us just by our presence. Reiki is such a powerful and healing. Reiki can be used for peace and relaxation anytime. It can be used before meditation, tai chi, yoga, prayer, sleep, etc. It can be used to support healing (headaches, injuries, burns, cramps, arthritis, before and after surgery, etc.). It can and is being used in conjunction with chemotherapy and radiation at major hospitals. Reiki can be used for protection of personal space, home, auto, etc. It can be used before, during and after medical or dental visits. Reiki can be done on animals and plants. Reiki can be used in conjunction with affirmations. We can also Reiki our food and drink. How Do We Gain and Lose Chi (life energy)? A life force energy called chi or ki flows into and out of us through energy centers (called chakras) and through pathways (called meridians). The chi, when flowing strongly, nourishes our whole being and we feel whole. As human beings, we receive chi, lose chi and maintain chi in a number of subtle and tangible ways (food, exercise, sleep, breath, sunshine, relationships, daily events). When our energy becomes diminished by stress, we start feeling down or just feel something is missing. Reiki helps to raise our chi and thus makes us feel better on many levels. How Does Energy-Work Influence our Frequency? Everything is energy and everything has a frequency. When chi is strong and balanced we generally feel well and we have a normal or high frequency or vibration. Notice the saying “that person has good (or bad vibes).” When we are in pain, ill, depressed or are not feeling well, the vibration/frequency of our bodies is lower. According to Bruce Tainio in the Reference Guide for Essential Oils the frequency of the healthy human body is 62-68 MHz. Colds and the flu bring the body down to 57-58 MHz. As the frequency decreases more serious illnesses can set in. When we are down or ill or just not feeling optimum we literally need to re-charge. Anything that contributes to a balanced or higher frequency helps create health and well-being. How has Reiki affected me? Reiki has also greatly increased my intuition both within sessions and in my personal life. Reiki has affected my dream life as well increasing the clarity of some dreams and bringing me guidance. There are different histories on Reiki, what authors accurately portray the history of Reiki and Usui? William Rand and Frank Arjava Petter have both written numerous books on Reiki. See my book review for links and recommendations. It was these two who diligently researched Reiki and have subsequently reported their findings about Reiki. All books do however credit the discovery of Reiki to Dr. Usui in his 21-day retreat. It seems that there is some division in the Reiki world, why is this? Some sources state that the principles were created by Dr. Usui others state that they were created by the Emperor of Japan. Either way, Dr. Usui was said to have recited these principles on a daily basis.